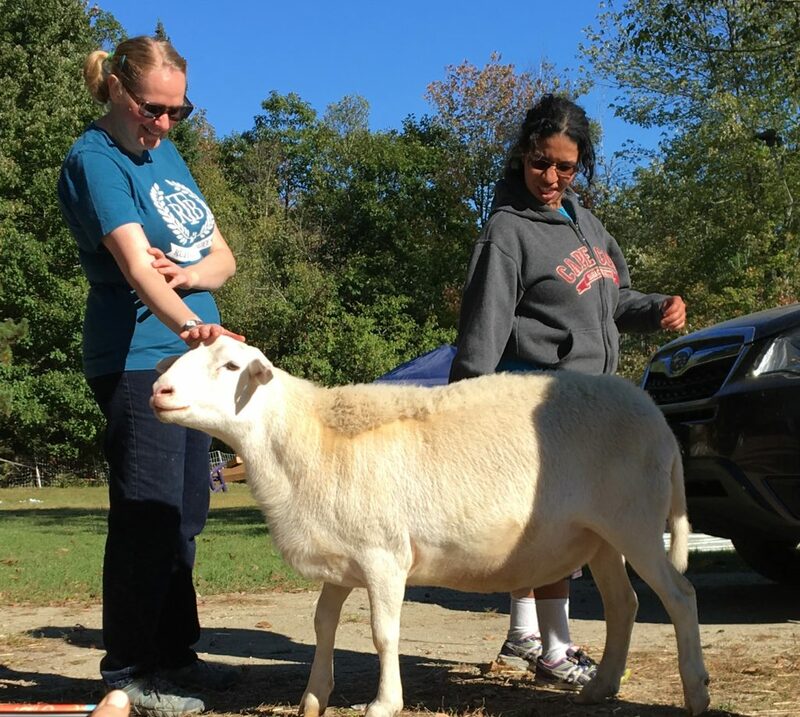 The Care Farm program at Graze in Peace offers people in need of a healing space (just like our rescued animals) a safe place to reconnect to nature, to work on social skills with others, and to find themselves again while participating in farm-based activities surrounded by loving, nonjudgmental and nonthreatening beings. Today, we offer programs for developmentally disabled, foster children, teenagers in transition, and others in our community in need of a little extra help. This Fall we will be adding a community center yurt to the farm to house our Care Farm, Humane Education and plant-based educational activities. A new fully-accessible raised bed sensory garden is in the plans for next Spring as well as a nature trail with benches to sit and observe the animals, the hundred-year old trees and the tiny wildlife along our running brook. Although care farms are not all that common in the United States, there are many in other countries. Many have therapy programs, much like therapy horse farms, that offer at-risk individuals or individuals with special needs a place to build personal, social and vocational skills in the natural, peaceful, stress-free environment of the farm. Note: We are not a certified therapy farm and the animals on our farm are not therapy animals. They are rescues from various situations. Some of them, like Coal the sheep, LOVE and demand attention and will be available for mutually-beneficial activities as he is comfortable. Others, like our pigs and most other sheep will be available to view from afar. We are a vegan organization and as such, do not believe in nor promote the use of any animal for personal benefit. But we are also not going to restrict the interactions that are beneficial to our animals and our visitors. If you have any questions or concerns, please contact us. Let us know if you’d like to learn more about our plans or how you can help make our vision a reality. If you’re interested in bringing a group out to the farm, please fill out the Group Information form below.